For those of us that like to keep an eye on our pets when we're at work or out of town, pet cameras have been a godsend. The only problem is that you can't always get your pet to come around the camera so you can see her. Petzilla, a San Jose, California start-up, has created a superb solution to that problem - the Petzi Treat Cam. If a great treat can't get your dog or cat to the camera, nothing can. Your treat? You get to see her! Yup. You can fill the Petzi with your cat or dog's favorite small treats and reward him by a touch of a key on your mobile device. The Treat Cam's motto is "See. Speak. Snap. Treat." And that tells you exactly how the Petzi Treat Cam is supposed to work.... although in my case, it's Speak, Treat (if he comes) Speak again, Snap (if he looks) and Treat. Whatever works! Human operations are all through Petzi's App available on iTunes and Google Play. The free Petzi App lets you store and share your photos on social media sites or just among your friends. (You don't even have to own a Petzi to use the app.) Mounting is easy. Instructions are on the box and the Petzilla company has instructional videos on YouTube. 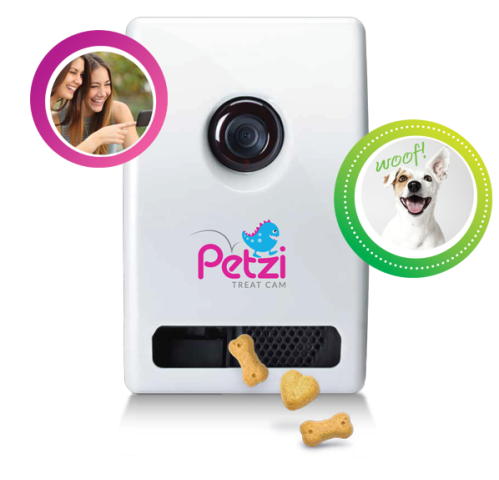 The Petzi Treat Cam was originally funded by folks like us on Indiegogo. It is selling on Amazon.com, where reviewers are nearly ecstatic about it! 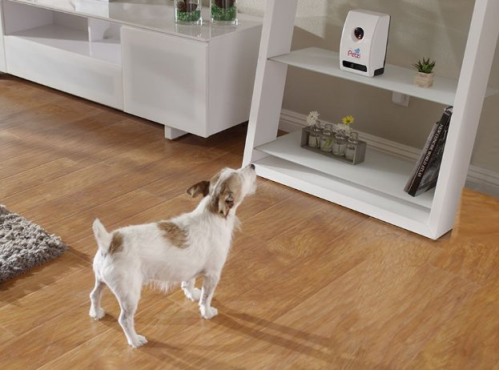 They love being able to check in on their pets and say it's good for their pets too: The Treat Cam keeps their pets from getting bored and even helps with separation anxiety (the pets'! ).